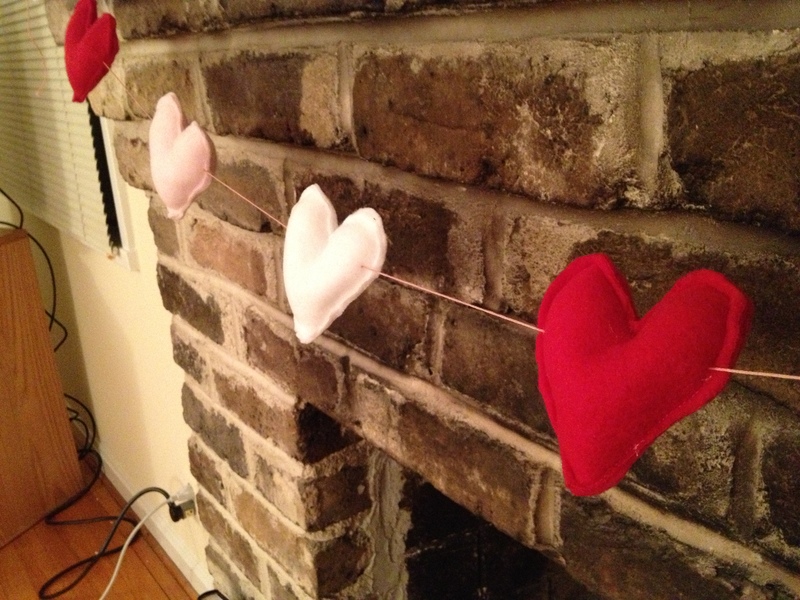 If you have been reading this blog from the beginning, you’ll notice that I have made this garland before (See the first one and a Valentine’s Day version). 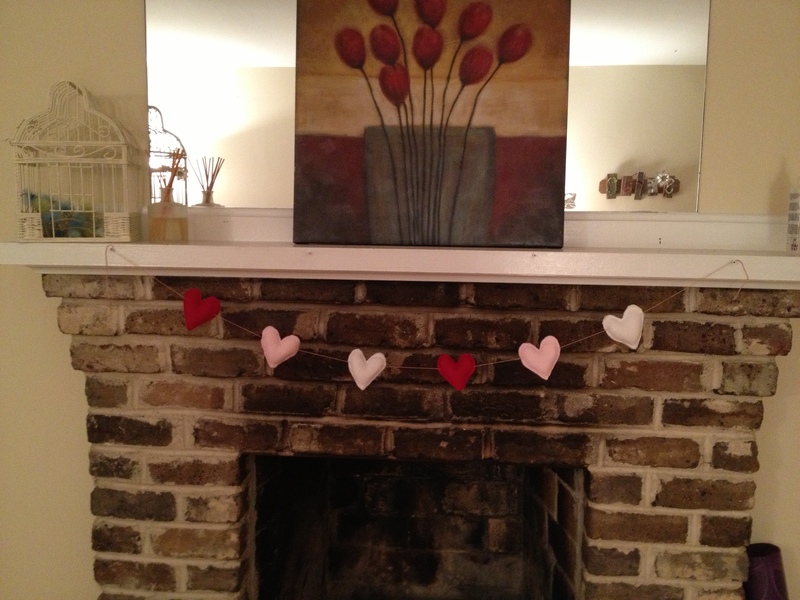 After living in my house for several months, I just couldn’t get over how plain our mantel looked. I wanted to bring it to life, so naturally, I thought to make this. I used felt, polyester fill and some embroidery floss. 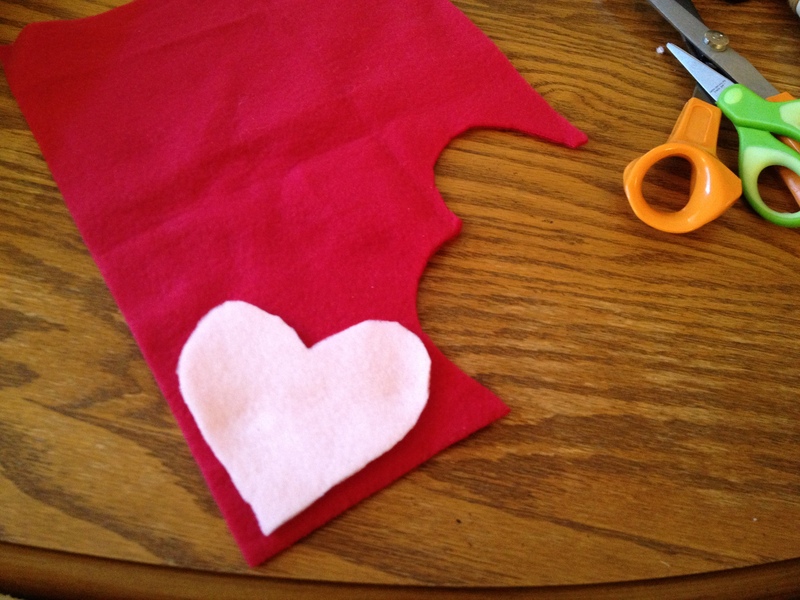 I cut out the hearts by hand and then sewn two pieces together, leaving a hole to stuff it with filling. Once it had some shape, I sewed the hole closed. With six hearts made, I took the embroidery floss and stringed the hearts together. Most of paintings come from doodles, and this painting is no different. After sketching it in my notes day after day, I decided to switch out my pencil for a paint brush. As a gift for a friend who lives abroad, I made her some customized tea towels that would help remind her of home. The project is simple and cheap to make. 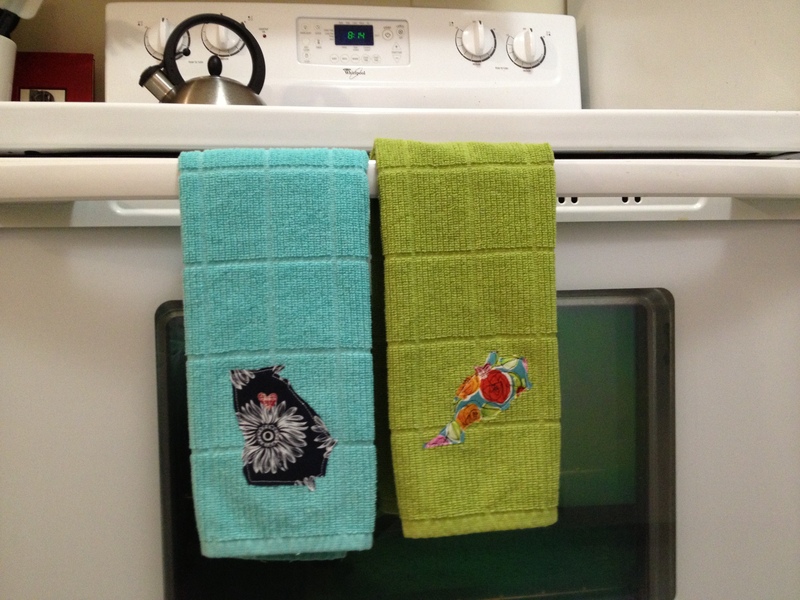 I purchased the towels at Target for less than $3, and I used scrap fabric and Heat n’ Bond adhesive to make the appliqué. To use the Heat n’ Bond, I traced my chosen state (Georgia) off my iPad. I then traced the reverse image on the back side of the Heat n’ Bond paper. 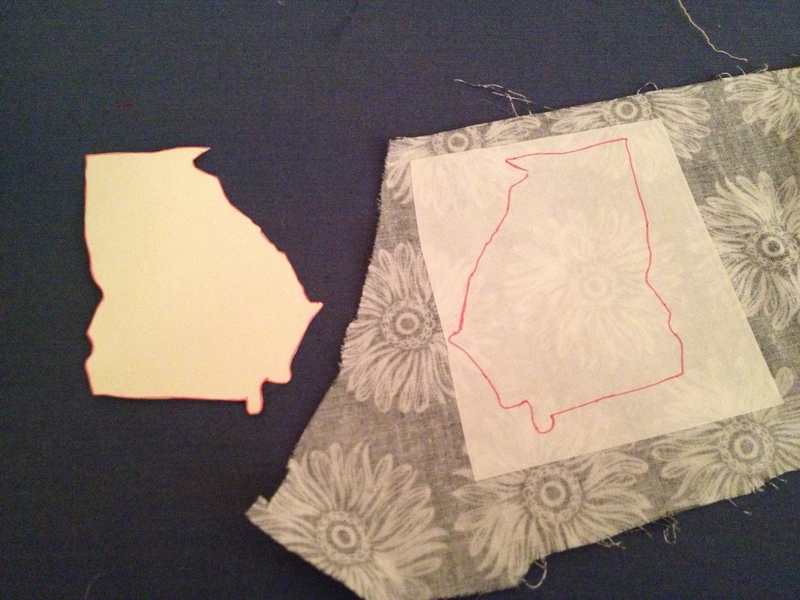 Using an iron, I attached the paper and then cut out the shape. 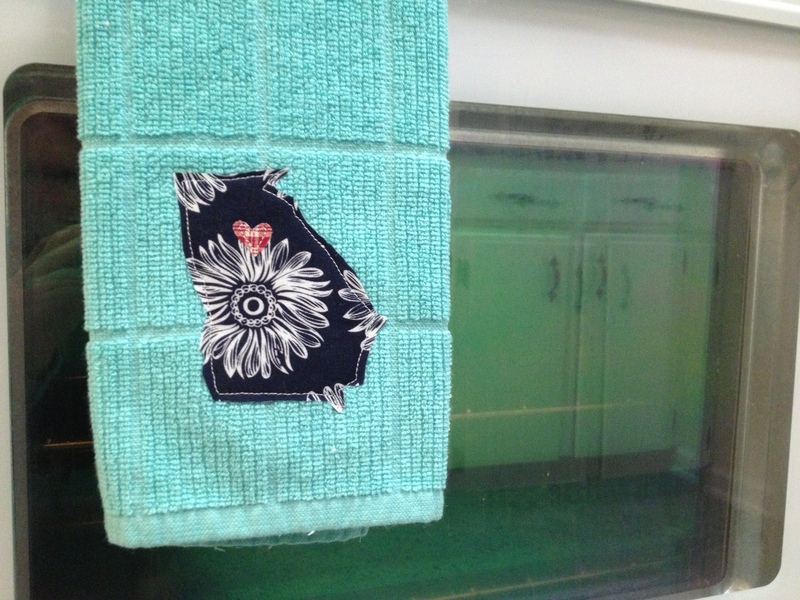 I then ironed on the fabric to the towel and used my sewing machine to secure it in place. 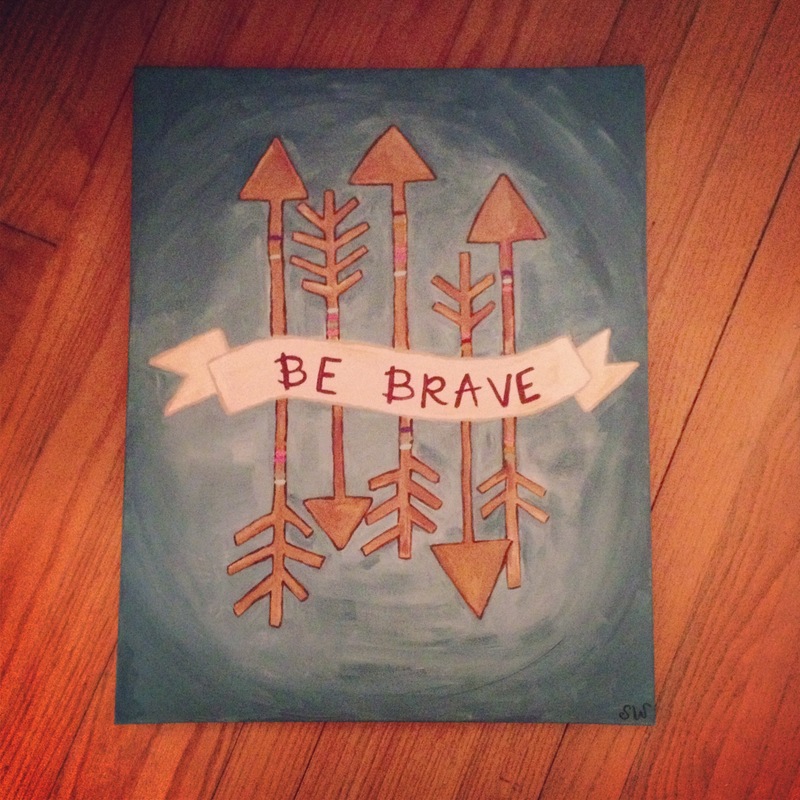 And then, because it is so darn trendy, I added a small heart. (Don’t we always say, the home is where the heart is?) I also made a towel for the country she currently lives in. Voila – a simple, easy gift for a new home.